Up to 6 years/100,000 miles. Available for purchase at any time during the original 4-year/50,000 mile period, the BMW Maintenance Program Upgrade lets you extend the unparalleled protection of the BMW Maintenance Program another two years or 50,000 miles – for total coverage of up to six years or 100,000 miles, whichever comes first. 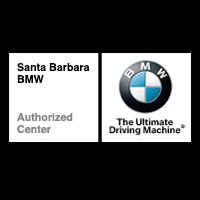 By continuing to receive expert, BMW-certified care, your vehicle will not only stay in prime mechanical condition, but also better retain its resale value. That’s maintenance in every sense. BMW’s Extended Vehicle Protection covers most repairs that were originally covered by your BMW New Vehicle Warranty with options up to 7 years or 100,000 total miles. Choose the tier that matches your driving needs. For a comprehensive brochure of the BMW Extended Vehicle Protection Program, click here. Please call our BDC at (805) 563-4200 or email at bdc@sbautogroup.com for further information on either of these plans.